As well as being a fascinating holiday destination in itself, the city of Geneva is also ideally situated as a base from which to take a day trip in your Geneva Airport car rental, and further explore the beauty of the surrounding region. This is a region rich in history and culture, where the Alps meet meadows and lakes and ancient castles, and the next exciting leisure activity or experience is never far away. At a distance of only 90 minutes by road in your Geneva car hire, the popular ski resort of Chamonix offers world class pistes and a host of other sporting activities. The area’s two-stage cable car, which travels to the top of Aiguille du Midi, offers breathtaking views of the Alps on a clear day. Just 55km away from Geneva is the port of Lausanne, known for its beauty, vibrancy and charming promenades along the banks of Lake Geneva. The old town dates back to the fourteenth century, but it is also home to the super-modern Olympic museum. 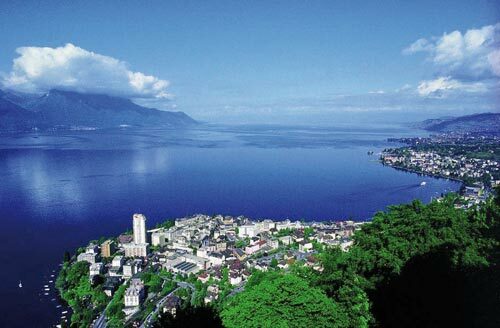 Also close at hand, Montreux is certainly work checking out if you happen to coincide with the eponymous jazz festival in July but it is worth a day visit at any time of year as it is picturesque and offers impressive Alpine panoramas. 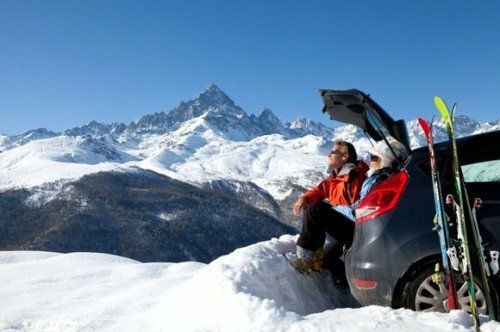 Those who are travelling for a holiday or business will find there are a variety of ways of getting from Geneva Airport to your destination, whether it be to the city itself, to one of the world-renowned ski resorts or to some other attraction in this beautiful country. The airport is located only 4km from the city centre and so if this is your destination there are a number of good transport options available, via the unified transport system known as Unireso. Within this network, passengers may travel by train, tram, bus and boat using one single travel pass. Trains to downtown Geneva run from the airport every 12 minutes and the journey time is an incredible 6 minutes. There are also a number of city buses who stop regularly at the airport and cover a broad range of routes into the city. 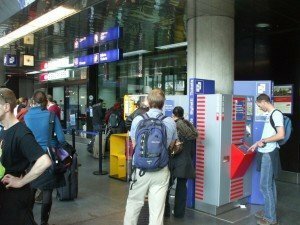 Can I travel free on Geneva public transport? Yes, but there are limits. Initial tickets last for one hour. Since 2008 a free public transport card has been available for tourists, giving them the ability to travel on Geneva’s transport network free of charge for the duration of their stay. These are available in the baggage hall at the airport (free for one day) and then at hotel reception desks (covering the period of entire stay). Driving around Switzerland can seem intimidating to foreign visitors. A good place to start when it comes to driving in the Geneva region is with the basic rules of the road. Consider a car rental Geneva Airport deal for your next visit. Here, vehicles drive on the right hand side of the road, something which visitors from the UK and other countries such as Australia should keep in mind. Third party insurance is obligatory, as is wearing seatbelts. No children under 12 are allowed in the front seats of cars without a suitable child restraint in place. Honking your horn after dark is also prohibited, while the legal age for driving is 18, not 17 as in the UK. With those basics out of the way, it is a good idea to look at some of the specifics of driving in the Geneva region. Roads in Geneva are often single lanes, with plenty of slow-changing traffic lights. Swiss driving regulations also forbid turning left at intersections, so it is necessary to carefully plan routes in order to avoid large detours. It is also wise to plan where you are going to park, and ask locals such as hotel staff for advice on this. Parking at the Place des Nations is recommended, as this can provide convenient access to many of the city’s top tourist attractions. There are other car parks and garages which are available throughout the city, though it can get crowded, particularly at busy times of year. Geneva Airport is one of the European Union’s biggest transport hubs, which might surprise some people. After all, the city of Geneva is in Switzerland, which is not in the EU. Unusually, the airport is situated in two countries, in both France and Switzerland. If a passenger enters the French part of the airport, he or she does not need to pass through Swiss customs though, as they technically remain in France. It is only the second busiest airport though, standing just behind Zurich in terms of visitor numbers. While that may sound a little confusing, it works well in practise. Also, despite being partly in another country, the airport is very handily placed for people who are visiting Geneva for work or pleasure. 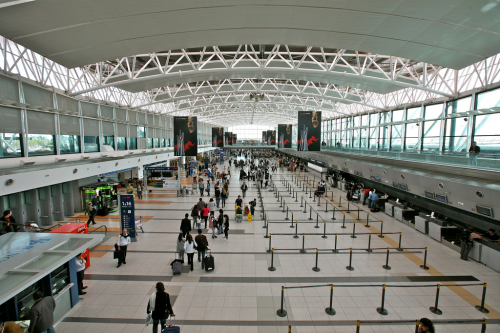 The airport offers flights to and from most of Europe, including Great Britain and Ireland, as well as some destinations in North America, the Middle East and North Africa. Handily located for visitors, the city of Geneva is just six minutes or so away by train, or four kilometres. For travellers who drive to the airport, parking is located both underground and above ground, though it cannot be pre-booked. The only way to make sure that you have a space for your car is to use the valet parking services which are available.